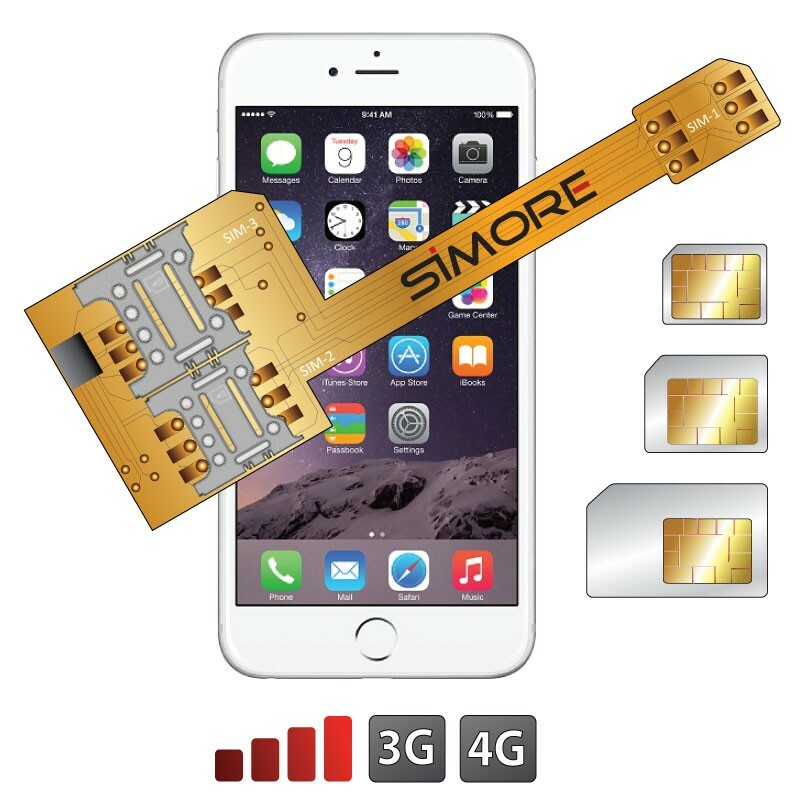 3 in 1 solution: Install and use 3 SIM cards in your iPhone 6. The DualSIM adapter case X-Triple 6 is a triple dual SIM device which allows you to have 3 SIM cards (1x nano SIM, 1x micro SIM and 1x mini SIM) in your smartphone. The case Triple dual SIM X-Triple 6 is easy to install. The first SIM (nano SIM) fits directly into the slot of your iPhone 6 and the two other SIM cards are placed on the back of your cell phone and are maintained by the external protective case. Call, send and receive your SMS/MMS, access your data and browse Internet using 3G / 4G with 3 SIM cards on one iPhone 6. With this tactile and ergonomic Triple dual SIM case, your mobile is fully protected while keeping all its features available(buttons, connectors and camera of your iPhone 6).